Lovers of wine and whimsy will delight in our Australian red wine gift set. 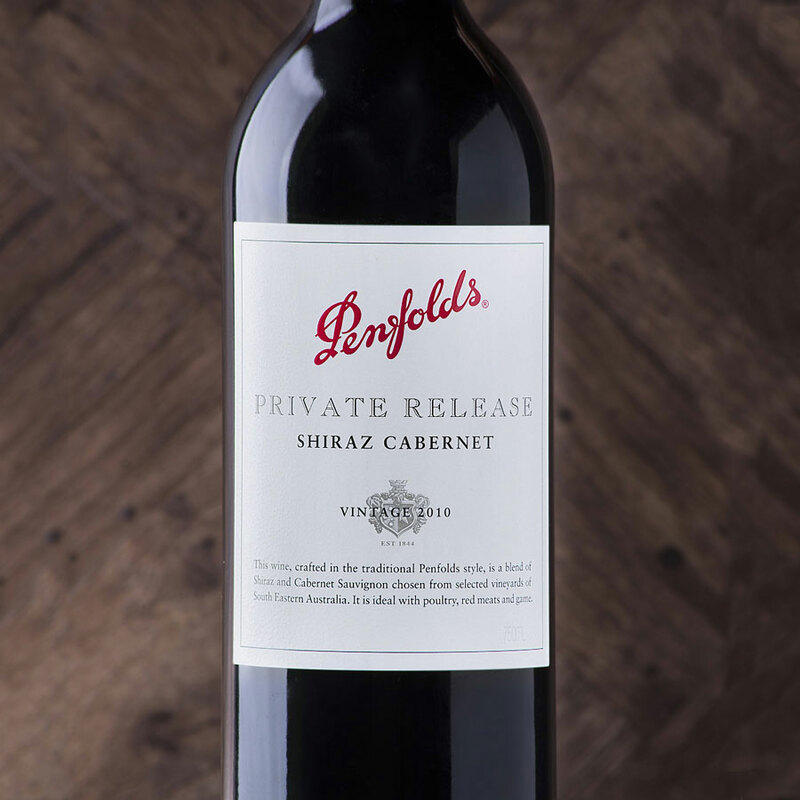 The wine is a luscious bottle of Penfolds Private Release Shiraz/Cabernet. Known as "The Great Australian Red Blend", Shiraz/Cabernet is a full, approachable fruit-driven wine known for its dark berry and plum flavors and balanced mid-palette. Soft tannins, savory oak, and hints of spice characterize the Penfolds red. 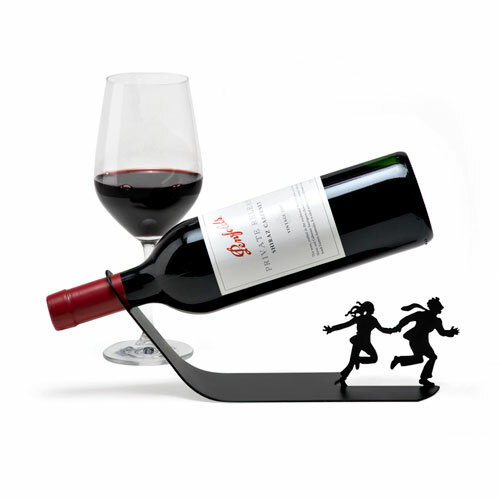 The whimsical Artori "Wine for Your Life" winestand will be enjoyed by those who appreciate stylish, innovative, well-crafted goods for the home. 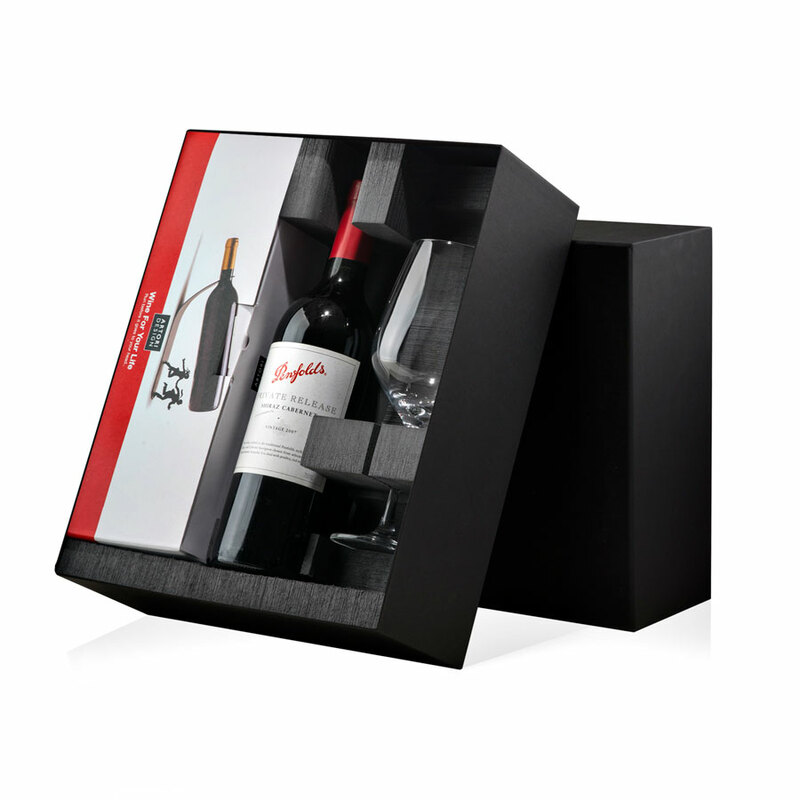 This contemporary wine gift set is completed with a Tritan Crystal red wine glass by German glass maker Schott Zwiesel. Ultra-durable with outstanding balance, Schott Zwiesel glasses are created with renowned sommeliers to enhance the flavors and aroma of the wine.